Nine West Boxing Day Sale 2016: 50% Off Your Entire Purchase! Plus, Extra 50% Off Sale Items. The boxing week blowout event starts now! Enjoy 50% off almost everything you purchase. 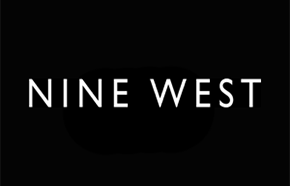 Nine West Canada ships exclusively to Canada. he shipping fee will be applied for any purchase below $99 before tax and is based on the weight of the package and shipping destination. Shop Boxing Day Canada 2013 at Nine West! Take an extra 50% off select styles in-store only during their Boxing Day Blowout! 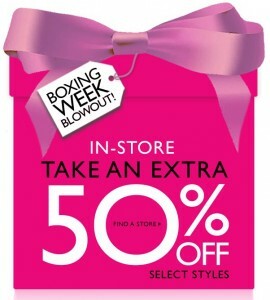 Fine a Nine West location near you to start shopping their Boxing Day sales and deals!